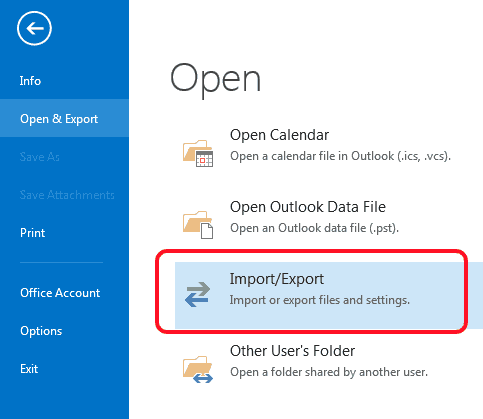 This will show you how to export your RSS feeds from Outlook 2013 to any other program/service by OPML file. 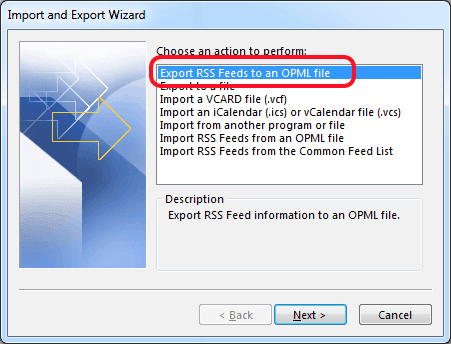 Select Export RSS Feeds to an OPML file option. Click Next. Select which feeds you want to export, then choose file name and path. You do not have permission to save to this location.